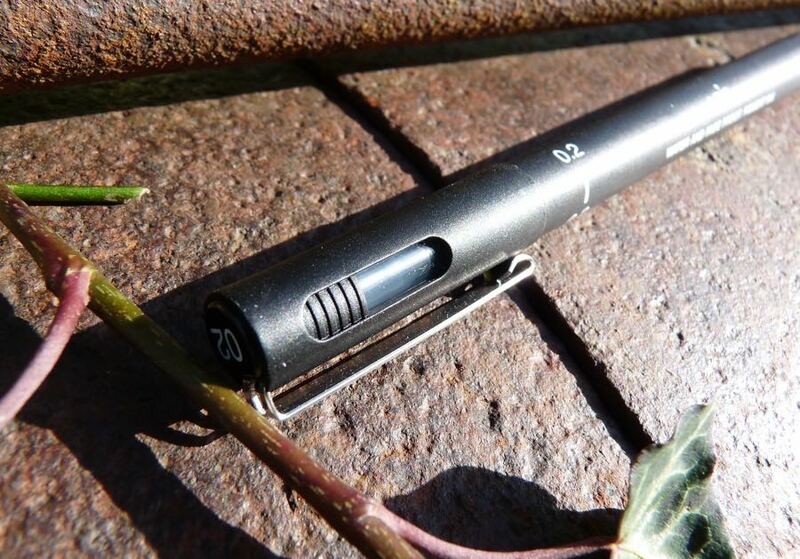 Uni Pin Drawing Pen Review – Pens! Paper! Pencils! 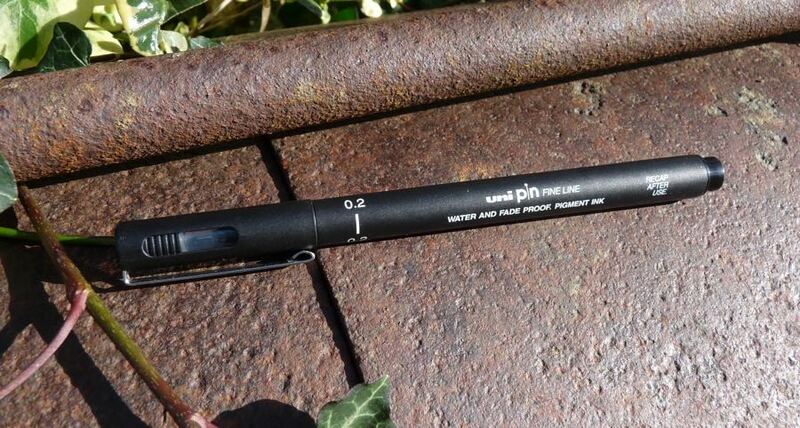 The Uni Pin is a drawing pen that’s readily available in the UK, being stocked by many high street chains. The plastic tip is sleeved in steel to help keep it steady. It’s available in a range of thicknesses. The tip on the 02 pen I have is good except for a certain amount of clickiness, common unfortunately in many drawing pens, as you change writing or drawing direction. It doesn’t affect the line but it’s irritating. The line itself is consistent in width and flow. 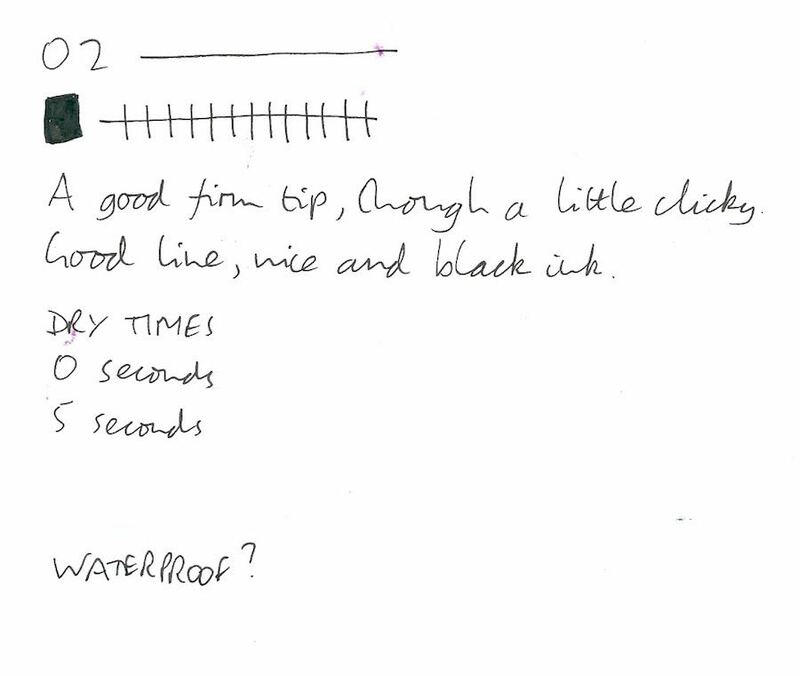 The ink is a good black, dries quickly and is waterproof. No complaints there at all. The clip is quite strong. The cap pushes closed and also posts with a nice click. Either posted or closed it’s unlikely to come off. The design of the barrel is good. It’s a nice matt black with crisp white writing. 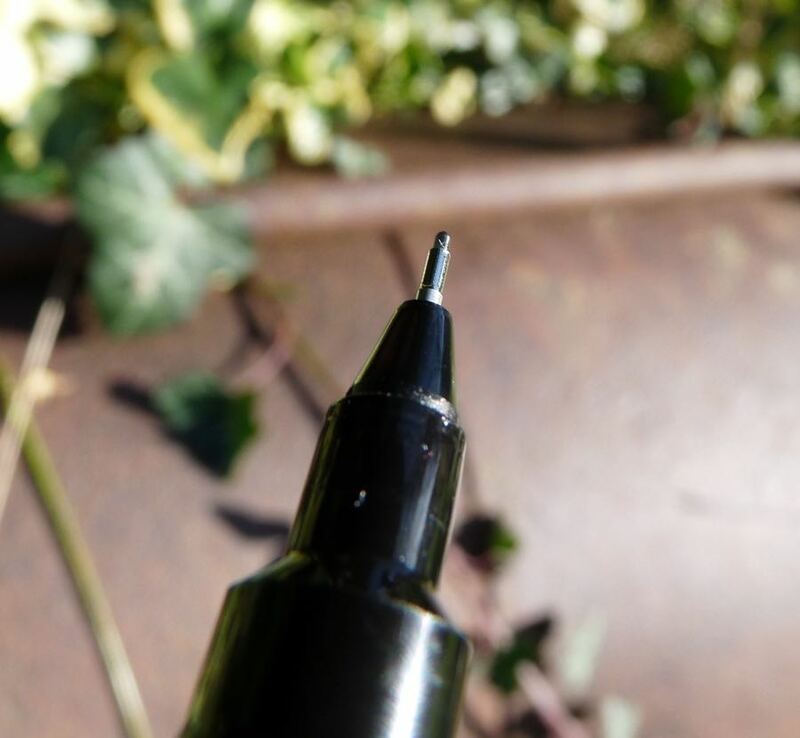 The tip size is marked clearly on the end of the cap and around the barrel. The window in the side of the cap serves no obvious function but looks good. I don’t like big barcodes on my pens or pencils so it’s a shame there’s one on this. 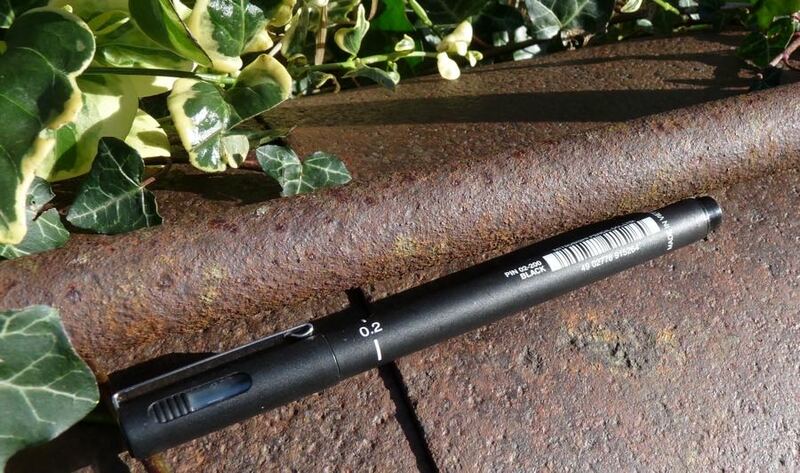 This is a good pen except for the clickiness of the tip, which I find very off-putting. It’s not a deal breaker: if this was the only drawing pen I had, I’d happily use it. As it is, there are better drawing pens out there. Personally, I find the tip of the Uni Pin a bit too firm – I have a set of Centropen liners that have a softer tip, which seems to give their line a bit more “life” (regrettably, they’re also a bit on the grey side when the ink dries).